House sleeps 6 or Sleeps 10 if you also rent the apartment. This Lake Junaluska house (3 queen size beds) and is just the right fit for a family or friends wanting to stay in the mountains but not wanting to stay on the side of a mountain. 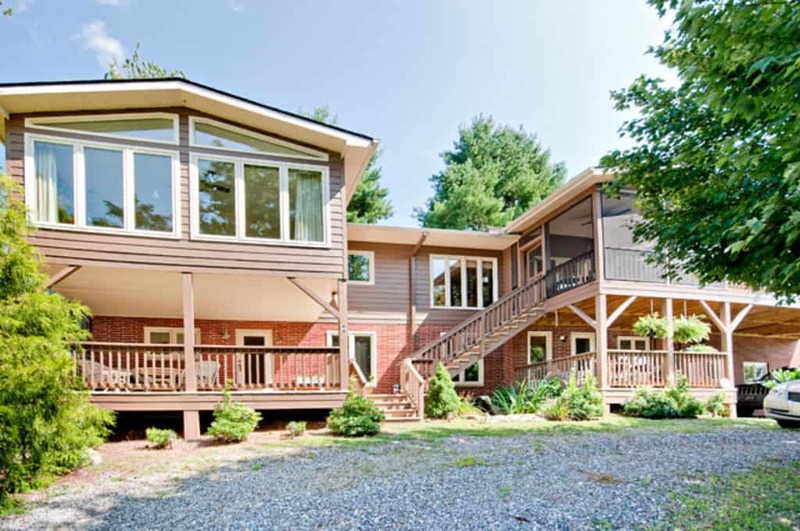 You will have a year round view of the mountains and the lake from the decks, screened porch, and the two sun rooms. If you need addition space….. YOU CAN ALSO RENT THE APARTMENT. The apartment is also located in the same house with a separate entrance. The apartment has 1 and 1/2 bath a king size bed and sleeper couch.